Let’s put some perspective on the record $38 billion in gaming revenues collected by Macau’s casino industry in 2012. The figure is higher than the $35.64 billion collected by the entire U.S. commercial casino industry in 2011. During December, Macau’s 35 casinos collected a single-month record of $3.5 billion in gaming revenues, more than half of what the Strip’s casinos collected in all of 2011. 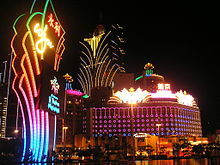 Macau’s $38 billion gaming revenue take was a 13.5 percent increase from the $33.5 billion the market collected in 2011. However, Macau casinos grew gaming revenues 42 percent between 2010 and 2011. “By and large, we believe the calendar year 2012 gross gaming revenue growth was ahead of most Wall Street estimates, the majority of which were ratcheted down throughout the year and conservative leaning, in our view,” Stifel Nicolaus Capital Markets gaming analyst Steven Wieczynski said. Let’s hope it’s an omen. 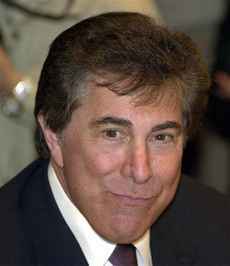 I picked up pocket Aces on my first hand in the new-and-improved Venetian poker room. My good friend and fellow Pokeratier Andrew raised into me, then called my three-bet “just in case” before check-folding the flop. $10 Million Rebuy: The Venetian poker room has expanded to add 50 percent more tables and hopefully 50 percent more donkey tourists. The new digs reopened at 5 am Wednesday; I arrived around 4:30 pm, or what Vegas grinders call morning. I wanted to see what a month-long renovation and supposedly $10 million could do for a major poker room. 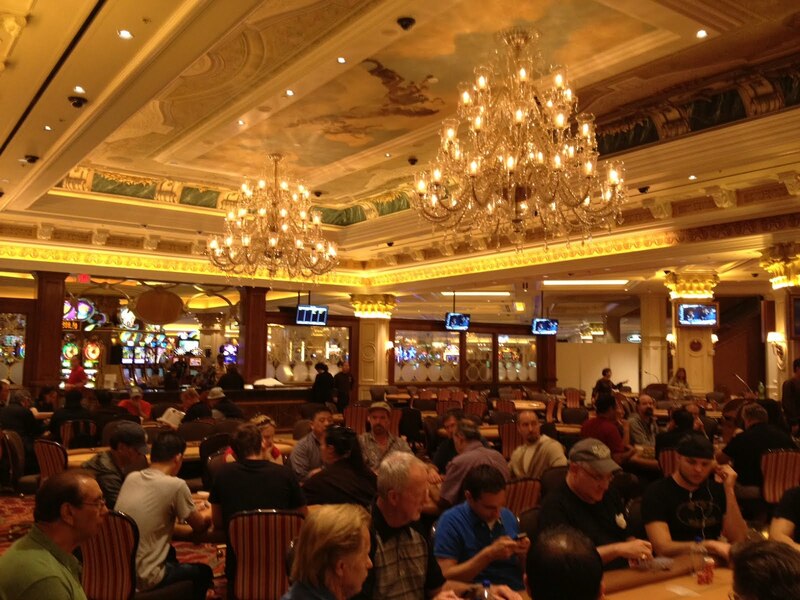 And I can tell you, this is now the fanciest poker joint in Vegas — if only for the giant, shimmering chandeliers hanging under a Renaissance ceiling mural at the front of the room.